Mobile medical clinics to provide disability exams to veterans in rural and underserved areas. 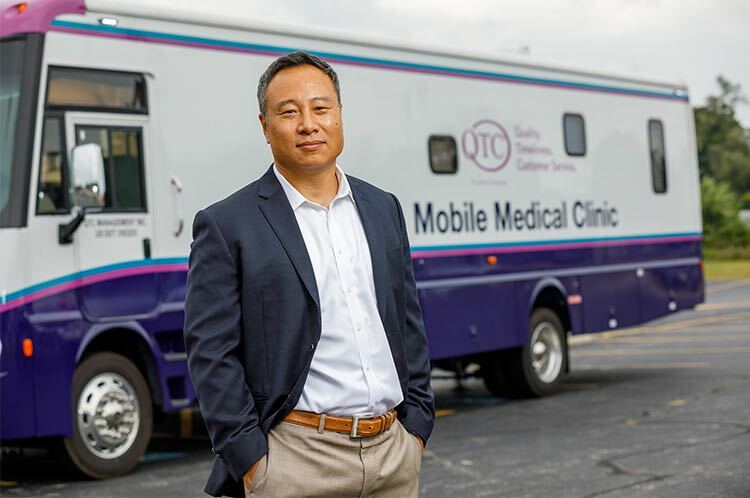 (Reston, Va.), October 2018 – QTC Management, a Leidos company (NYSE: LDOS), today announced the launch of two custom built mobile medical clinics that will deliver high-quality medical examination services in rural areas of the United States, making it easier for veterans to access care. In September, the mobile medical clinics began their mission in the Northern Central U.S. with stops including Iowa, Minnesota, North Dakota, South Dakota, and Wisconsin. Other U.S. regions are continually being evaluated and addressed in response to growing veteran needs. Mobile medical clinics have long been used to serve various communities and industries. QTC is extending its reach further by providing rapid, cost-efficient solutions where on-site medical examinations are needed. Bringing the mobile medical clinics to veterans in remote and underserved areas will improve access and provide the same set of evaluative capabilities available in traditional clinics. The two mobile medical clinics are fully stocked with commercial-grade medical equipment and supplies. Diagnostic and comprehensive medical examinations can be completed in the same day in these rural areas. The medical staff will provide services such as general medicine, mental health, vision, audiology, otolaryngology, radiology, laboratory services and cardiology evaluation services. Each climate-controlled mobile medical clinic will have two exam rooms, waiting area, unisex restroom, a lab drawing station, an American National Standards Institute certified sound booth, and an American Disabilities Act compliant wheelchair lift. QTC Management, Inc., acquired by Leidos in 2016, partners with each customer to identify existing and forecasted program needs and delivers a full complement of disability-focused medical examination and diagnostic testing services. Since 2000, QTC has provided more than 4.5 million physical examinations and diagnostic tests.